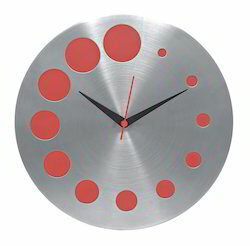 Our range of products include metal wall clock, round shape wall clock, square shape wall clock and wooden wall clock. With years of experience in this domain, we have carved a niche for ourselves, by offering a wide assortment of Round Wall Clock. This wall clock is aesthetically designed by our affluent craftsmen utilizing excellent quality material as per the contemporary trend of market. 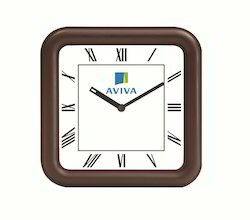 The offered wall clock is made accessible in various designs and sizes to suit demands of customers. 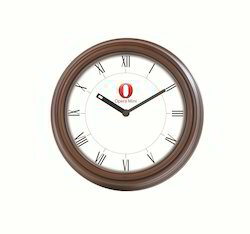 Also, we are giving this wall clock to customers within a given time frame at reasonable price. We provide Square Shaped Wall Clock to our customers with high quality. 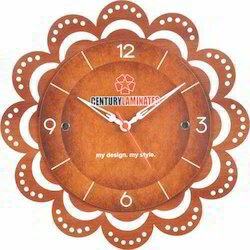 We are the best provider of decorative Wooden Wall Clock in attractive ranges. These are precisely designed by experts using optimum materials and latest techniques. They are available in eye-catching designs and standard colors. They are highly durable and can be personalized as per requirements. We offer all our products in secure packing in specific time frame.